You are currently browsing the archives for the tag '2016 academy awards'. 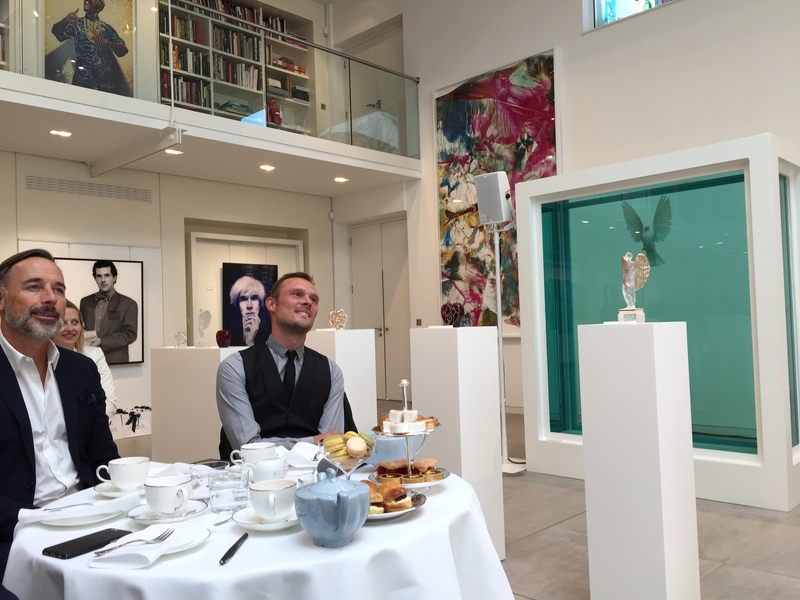 One beautiful sunny day last fall, I flew to London to follow Lalique‘s very exclusive invitation to have tea time at Elton John’s gorgeous home. 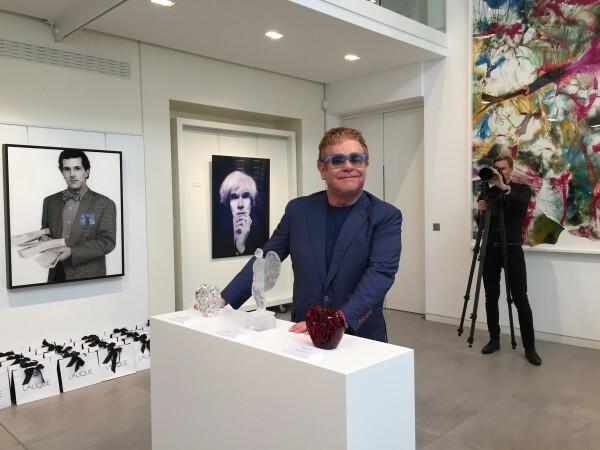 The reason for this once in a lifetime experience was the launch of the ELTON JOHN MUSIC IS LOVE FOR LALIQUE collection that includes four exceptional crystal sculptures. 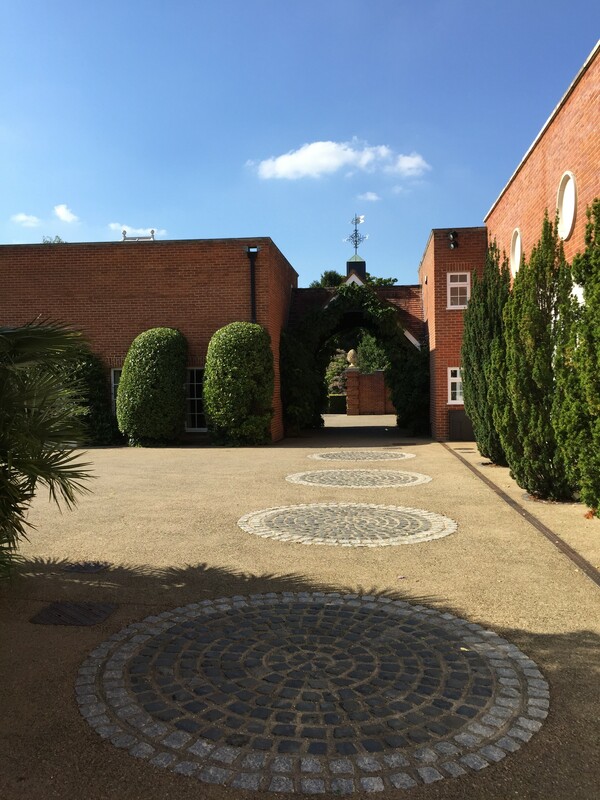 As you can imagine, the estate is breathtaking and Sir Elton John is absolutely lovely to talk to. 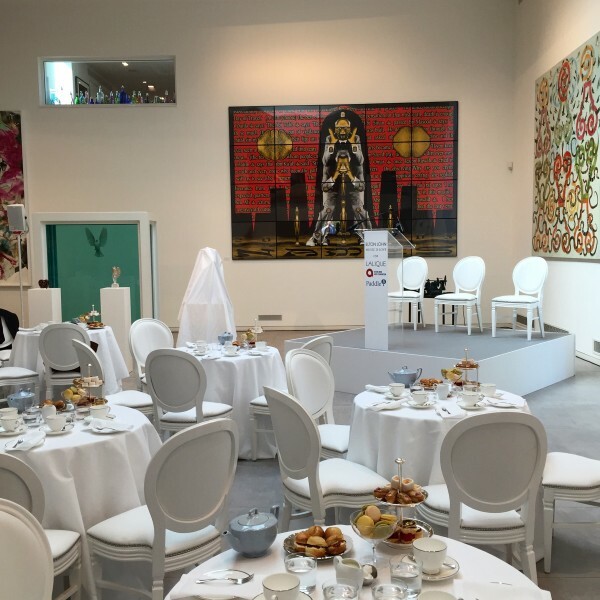 Inside the house’s art gallery where Sir Elton John and David Furnish officially tied the knot in 2014. David Furnish and Lalique designer Marc Larminaux listen to Sir Elton John’s speech. Four Special Editions (the unique Angel Cire Perdue, the Heart in platinum enamelled red crystal, the Heart in gold enamelled clear crystal and the Angel in gold-stamped clear crystal) each signed by Sir Elton John, will be auctioned during this weekend’s 2016 Academy Awards, in partnership with Paddle8, to benefit the Elton John AIDS Foundation. The unique Angel Cire Perdue. The standing Angel in clear crystal and the Heart in clear or red crystal are available at Lalique boutiques and their select retailers. 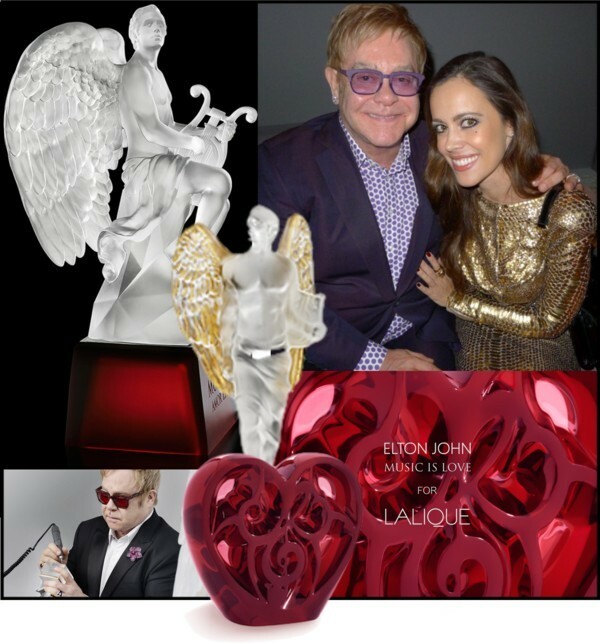 Lalique will contribute 10% of sales to the Elton John AIDS Foundation. The socle of the statue engraved by Sir Elton John. Sir Elton John, the theme of the pieces is ‘Music is Love’. Why do you think music and love have always been so intricately entwined? Love is one of the primary forces that can unite us and bring us together despite our differences. Indeed, love shows us that the differences dividing us from each other are ultimately very superficial, that we have so much more in common than not. Music is a powerful medium for expressing all the many faces of love, and it is a participatory medium. Music draws us together. It is a universal language. We come together to make music, to listen to music, to share music. This is why I believe that music and love are synonymous, that music IS love. Music is your passion and your most widely-known medium of expression. 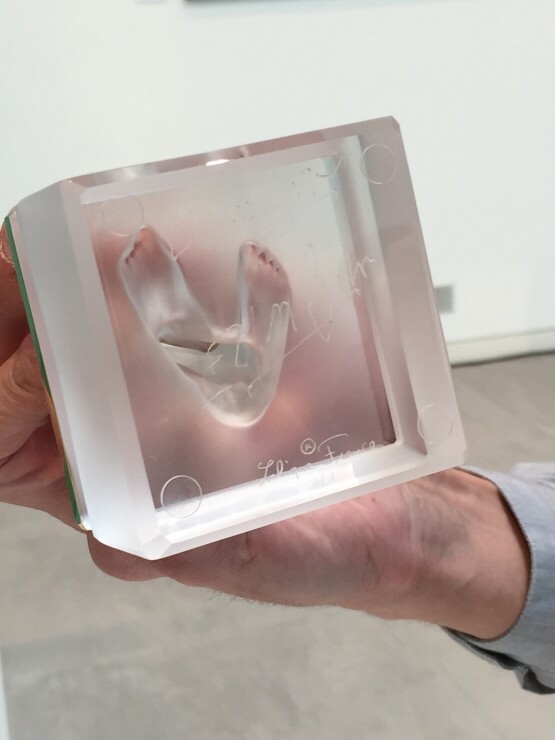 How have you found working in sculpture, particularly in crystal? The process of artistic creation – whether for music or dance or visual art – arises from the same impetus, the same need to express thoughts, feelings, ideas. 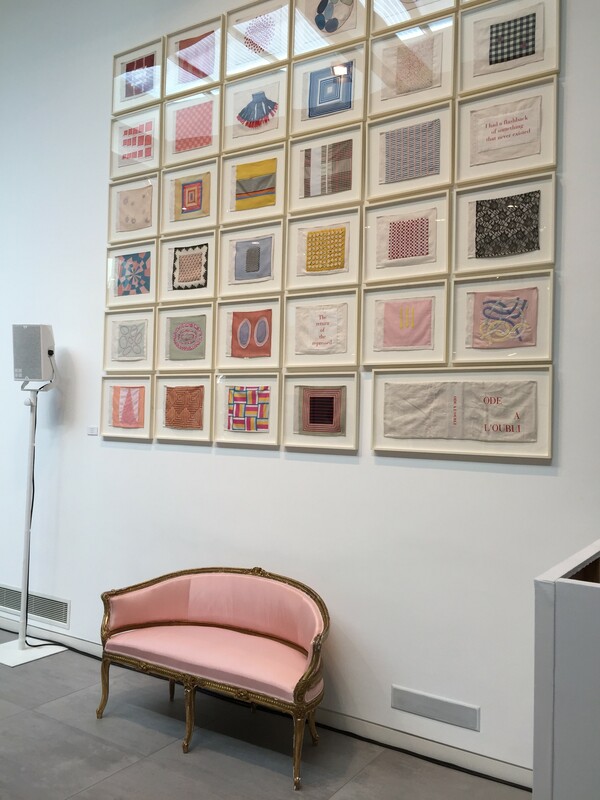 I found the entire design process for this project – from theorising, to working and revising with drawings, to realising the concept as a three-dimensional object – to be absolutely exhilarating. 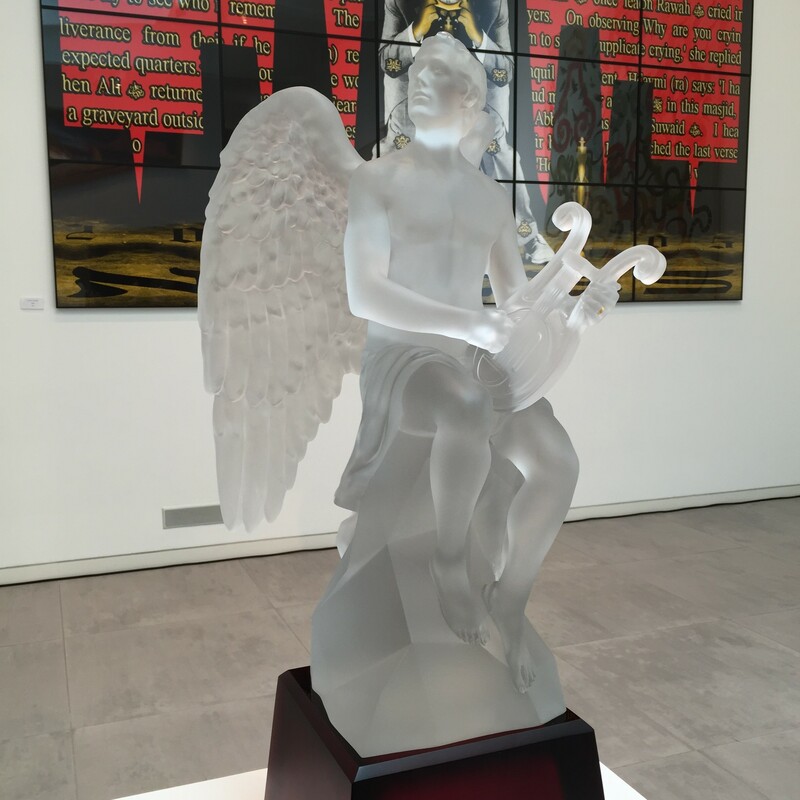 Working in crystal is fascinating, and Lalique crystal has an amazing way of constantly changing with light and shadow, the time of day… Such a beautiful, magical medium! The finished piece is even more exciting and beautiful than I ever could have imagined. 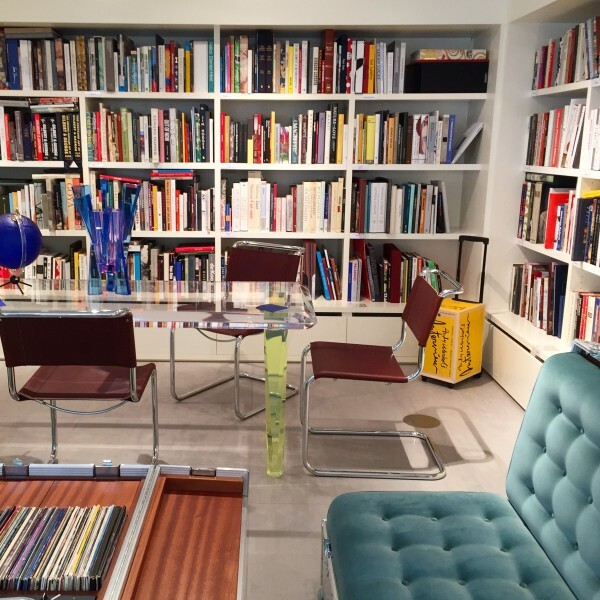 I’m completely thrilled with it and really looking forward to the auction in February 2016. 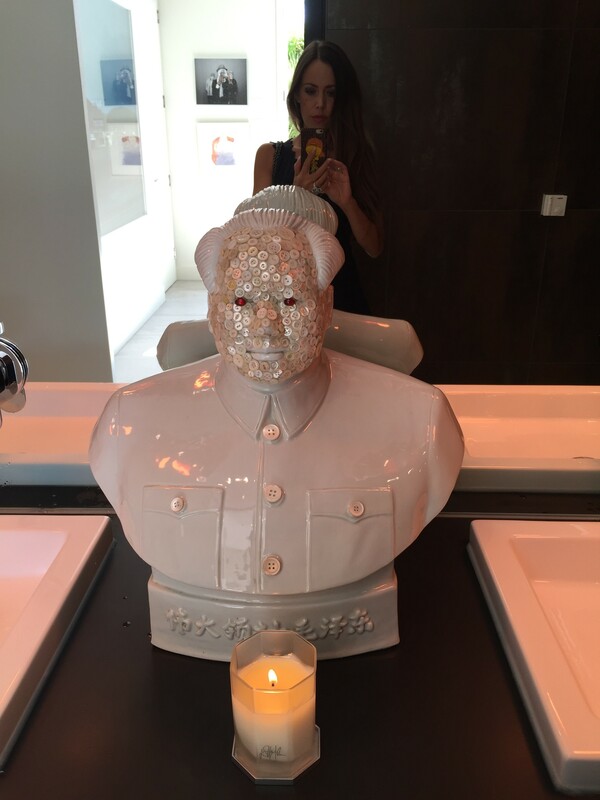 You’re a collector of glass and crystal, and have a number of Lalique pieces in your collection. What is it that you appreciate about crystal and Lalique in particular? For me, Lalique stands for craftsmanship, luxury and a strong tradition of devotion to the art of producing the highest quality, most beautiful objects using these materials. Lalique sets a standard of craftsmanship that is simply unparalleled in the world. I think glass is a much underappreciated art form. That is why I collect it and I love it very much and Lalique to me represents the Rolls-Royce of glass. As an oral artist who makes music, the visual arts of glass inspire me when I write a song or when I play the piano, because every day I get up and I am surrounded by glass and a lot of Lalique. Subconsciously, it inspires me to do better things, I think. 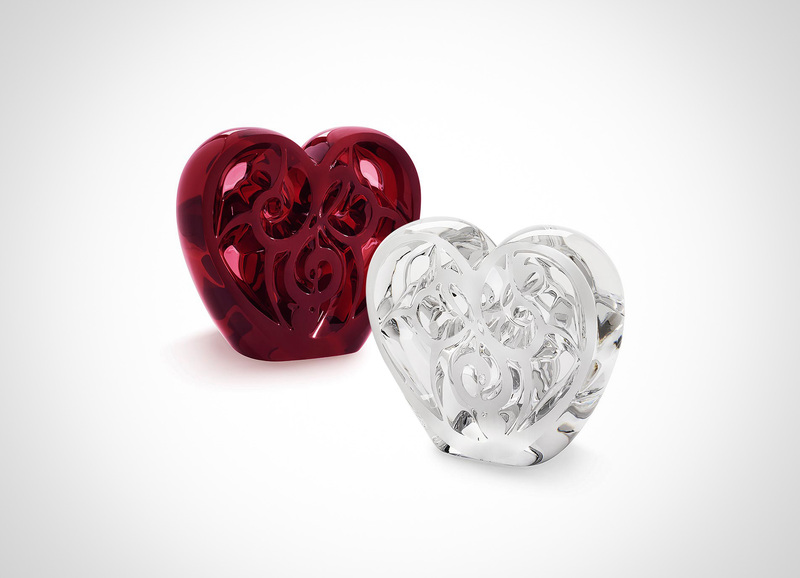 MUSIC IS LOVE Heart Red Crystal (limited edition of 499 pieces) and Heart Clear Crystal (limited edition of 999 pieces). 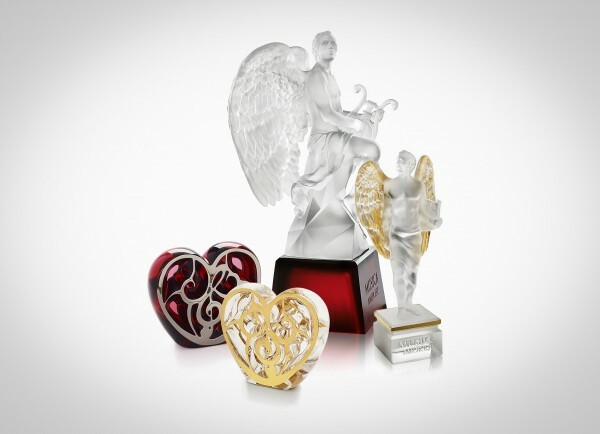 You have also been working with the Lalique design team to create three other sculptures – a smaller angel and two heart sculptures, with part of the proceeds going to the Foundation. What do these symbolise for you? The heart is a universal symbol of love, as well as the Angel. 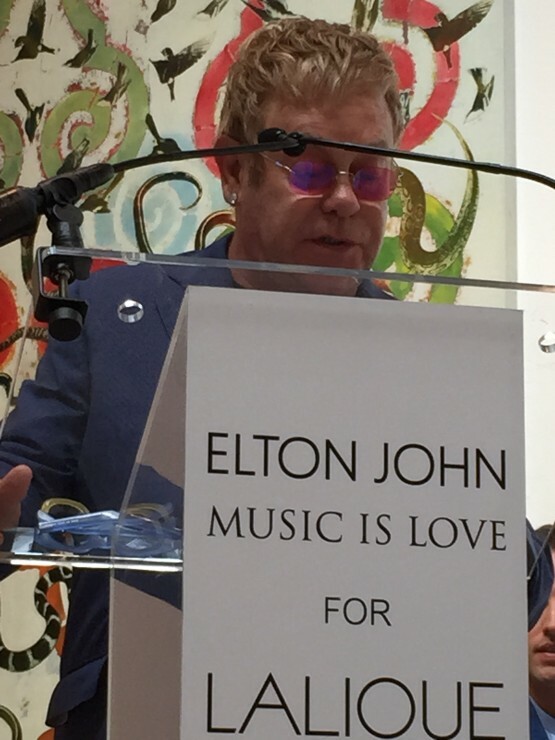 Love is ultimately what guides and inspires the work of the Elton John AIDS Foundation, and love is what we need to end this epidemic. Science has made amazing advances in HIV/AIDS prevention and treatment. But unless we love each other enough to make sure that everyone – no matter who they love, what they do, how they look or what they believe – has the resources to stay healthy and prevent further transmission of the disease, then all the science in the world will be for naught. LOVE is the ultimate solution to AIDS. Thank you, Sir Elton John, for this amazing invitation! 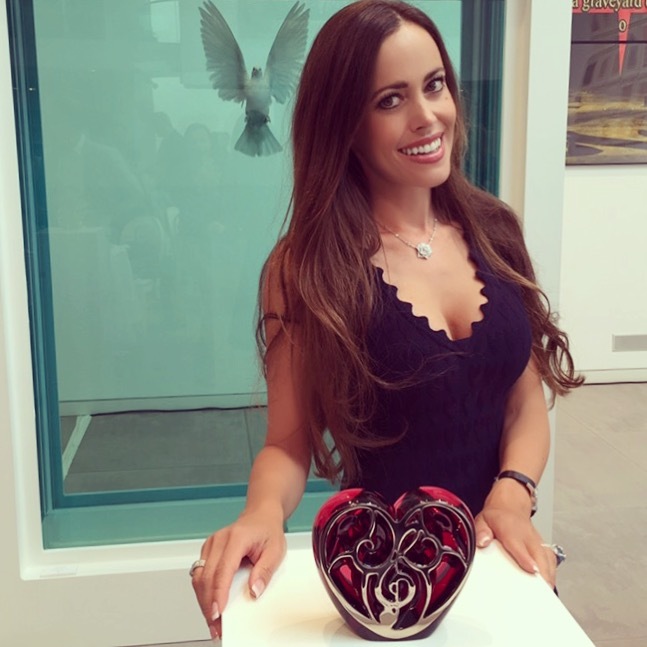 To visit the Lalique website where you can shop the limited edition pieces or bid for the collector’s items, click HERE please. The estate is truly breathtaking. 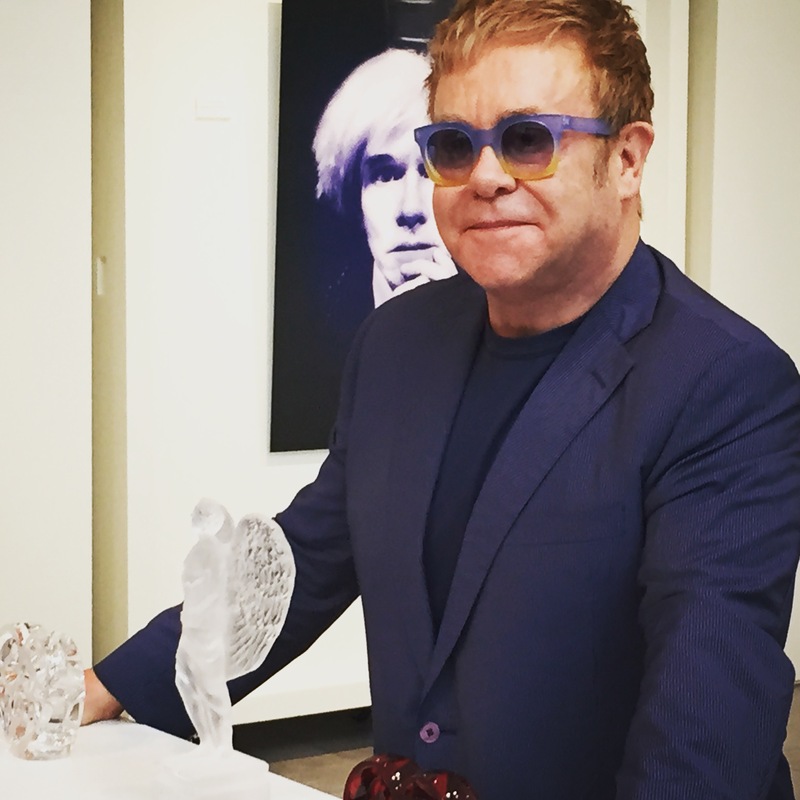 Sir Elton John in front of the three other sculptures that are available in stores. 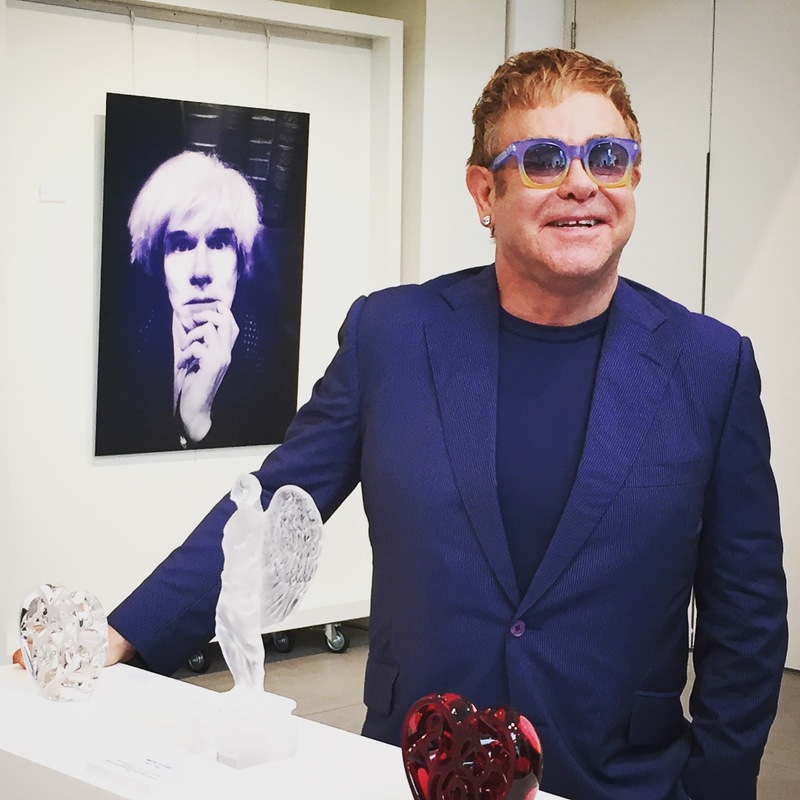 Sir Elton John is a dedicated art collector. 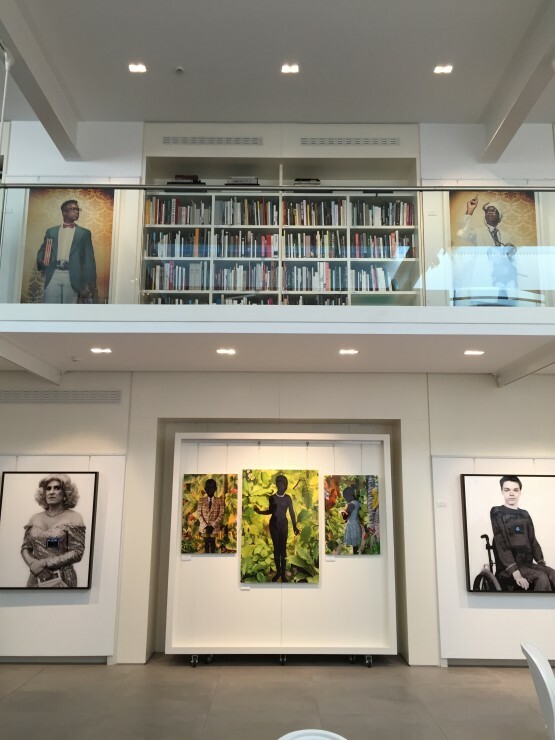 Art plays a very important role in the life of the famous singer. I loved this statue inside the guest bathroom. With Lalique owner Silvio Denz in front of the unique Angel Cire Perdue. 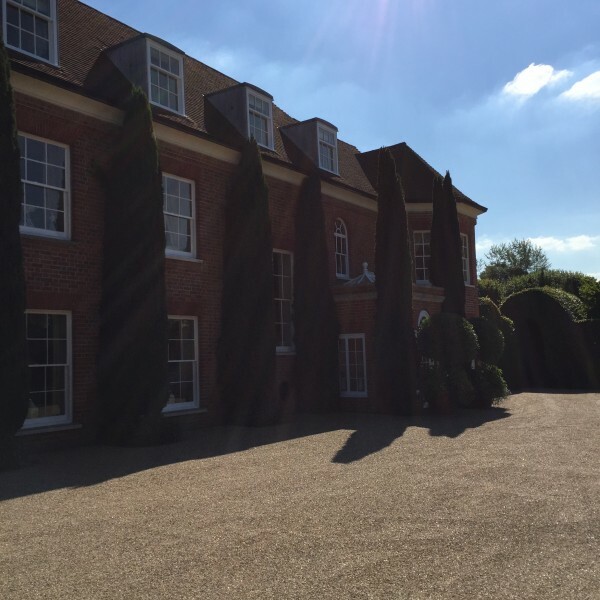 Being at Sir Elton John’s home was a truly special experience that I will treasure forever. 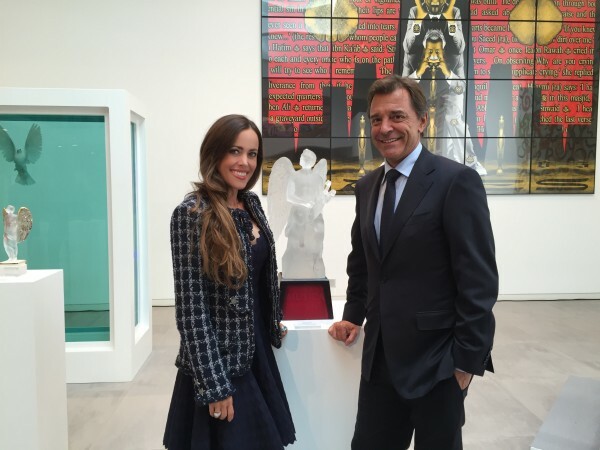 I am wishing Lalique and him good luck this weekend to achieve the best result possible in the auction.